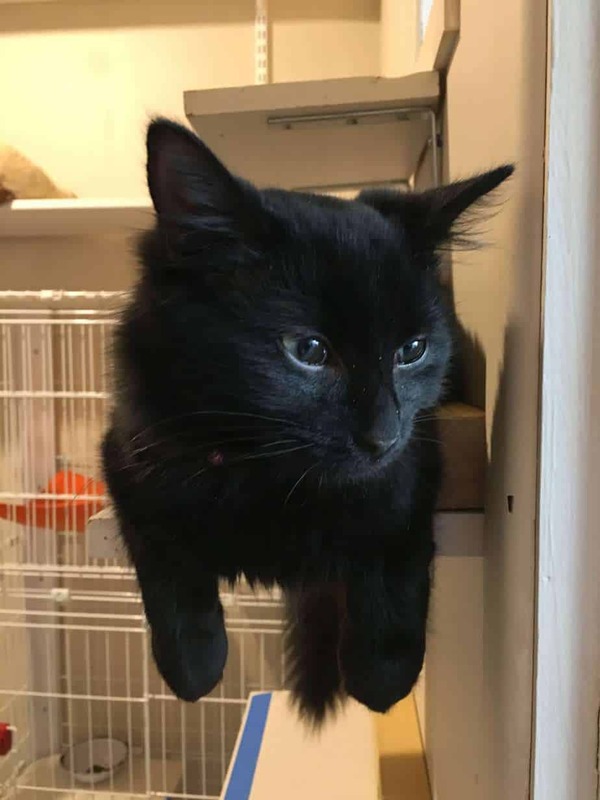 Most of our cats are selected carefully for this cat cafe environment after receiving veterinary care like health checks, de-sexing, vaccinations, and flea and worm treatments. All our cats are microchipped before they get adopted and registered right after. When you adopt one (or more!) of our cats, the adoption fee below applies. You can see the status of each cat on their posters on the glass windows. If you fall in love with one of our cats, please check their status on their poster on the wall. If he/she is an “available cat”, you can ask for a pre-adoption form at the counter. If the cat is an “apprentice” that means that we are getting to know the character so we can make a good match for him or her. You can still fill out an application, but there is no guarantee you will be chosen. If the cat is “on hold” that means a match has been made but the cat is waiting for the humans to get everything ready. If you are thinking about adoption, please let one of our staff know and get more information. Everyone needs time to think about such a big decision, so we WILL NOT let you take our cats straight away. You need to follow our procedure because we would like to find a perfect much for our cats. Adoption Special on our merchandise! Take this opportunity to get high quality items for your new family. If you buy 2 of the following items, you will get a 5% discount for all of our merchandise. If you buy 3, 10% off! Or buy 4 and 15% off!